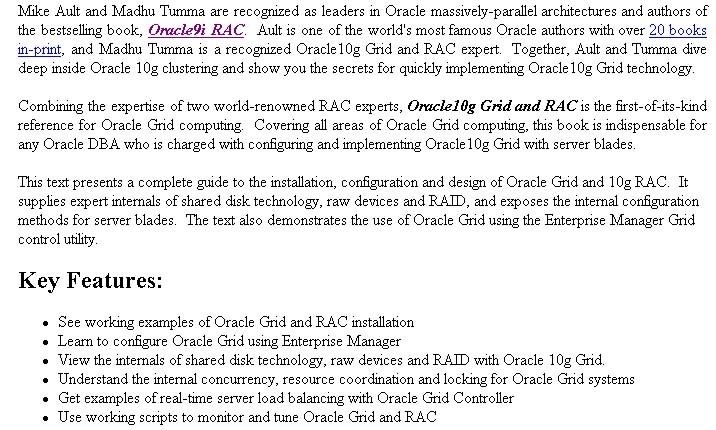 Discover Oracle grid clusters in our informative reference on not only Oracle grid clusters, but installation, parameters, and failover. 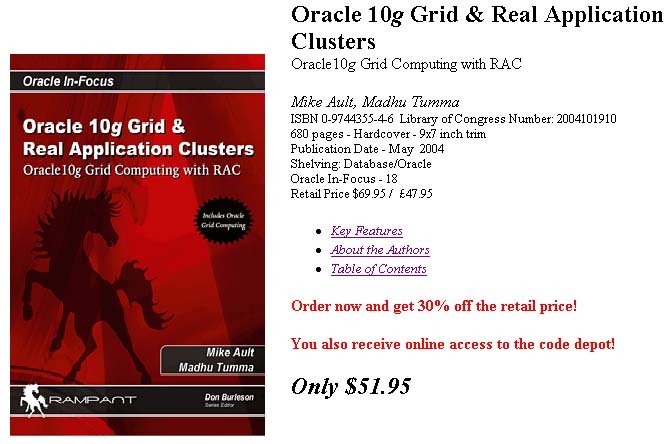 Top Oracle grid clusters secrets and tips are shared in this book on Oracle grid clusters, configuration and tuning. Copyright © 1996 -2017 by Burleson. All rights reserved. Oracle® is the registered trademark of Oracle Corporation. SQL Server® is the registered trademark of Microsoft Corporation.